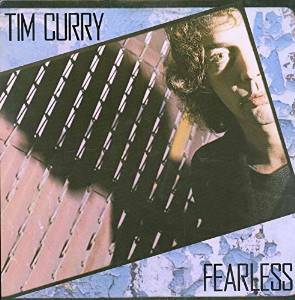 Because Tim Curry plays no instruments, writes no music, and often sings in a manner that sounds suspiciously like talking, I initially pegged him as a novelty act whose candle might soon burn out. Now that this second album has had a chance to grow on me, though, I’m not taking any bets. The artist, who made his name in the Rocky Horror Picture Show, may not be much of a musician, but he has learned to compensate by squeezing every bit of potential out of his limited vocals and by surrounding himself with talented cohorts. He also writes some of the wittiest lyrics I’ve heard lately. Best cuts: “I Do the Rock” and the sardonic “Paradise Garage,” which shows off Curry’s way with words, not to mention Dave Sanborn’s kinetic sax and a state-of-the-art production.